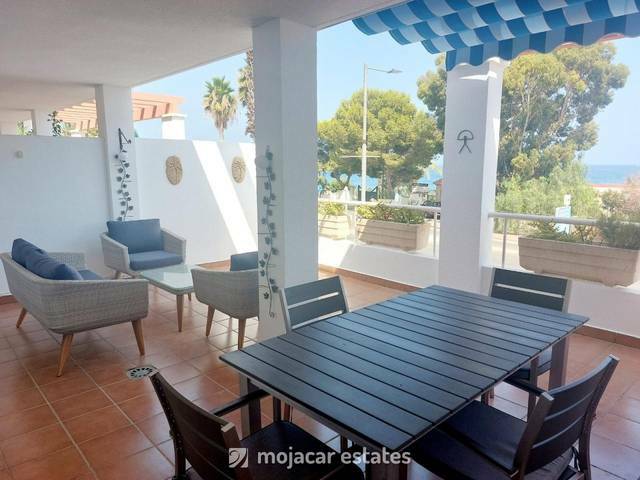 Lance Nuevo Raf- Fantastic 2 bedroom top floor apartement in a residential complex in sea frontline position with easy access from main road via a lift. 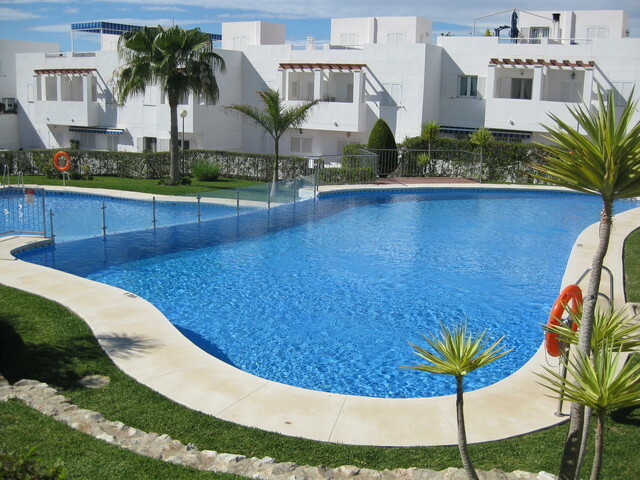 There is a small terrace just before the front door with lovely views over the pool and the coasline behind. The apartment has a fully equipped kichen with microwave, dishwasher, washing machine and all kitchen utensils. There are 2 bedrooms with single beds and 2 bathrooms, one with bath and the other one with shower cabin. The lounge has a dining area and patio doors lead out to terrace equipped with dining table and chairs and has a canopy as well.